“Legioner” reminds me a bit of that, but with a wealth of enhancements. Colour, for one. Multiplayer for four players, for another. Different mechs to choose from with varying characteristics. Varied enemies as well. A superior control scheme in “Legioner” too. When you get right down to it, the games are pretty much entirely different, aside from them both taking place in an arena. 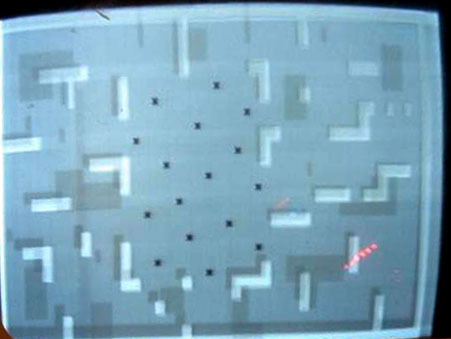 But it gave me an opportunity to talk about an old b/w arcade game, and that was worth doing, you ask me. “Legioner” came out at 240 Microsoft Points, but is now the more impulse buy-friendly 80 MSP, and it’s definitely worth a download.